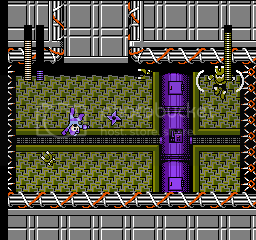 Last view: 74 days I can't believe someone actually do a ASM MegaMan X3 hack where you can play as Zer0 for everything. Cool! I remembered reading about this some time ago, so thought I'd link you to it. I'll need to read the thread again myself, though. EDIT: Wow, that was a small thread, but I hope that it can assist you in some way. Thanks Man,i was wondering about this! Though What Should i do with the Hack,any Questions or ideas i should add? 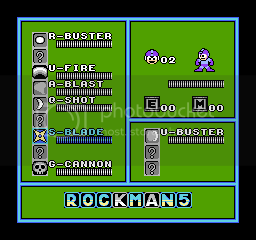 Rockman 4MI has been opened to the public again by Puresabe. It has been understood that the screen falls into disorder by the first map when resetting after Cossack stage 2 is done and loading it though it is a demo version of self-made remodeling Rockman who opens it to the public in the last website update. Tentatively, it is roughly repaired when it is possible to operate, and it goes to the following map. In addition, it seems to fall into disorder long when the boss appears when this phenomenon occurs. public has already been postponed in hand though it has corrected. However, please apply a patch here to version 100827 of anxious by all means. The patch was meant for the last updated version which was yesterday. Puresabe never create IPS Patches. Don't ask me to post the direct link to the Rockman 4MI game (Puresabe may not like it). And even if you do download the game on your own, please don't ask me how to apply it because too many people requested the same thing over and over again. You simply just need the "Rockman 4 - Aratanaru Yabou!! (J)" rom and not Mega Man IV. The rom must be in the same folder with the batch file. Then use the batch file to apply. Last view: 3147 days Hmm...interesting,so he's finally giving us a new RM4MI Demo? Last view: 74 days Rockman 5 Author Tsurara updated Rockman X Cross, September 1 version. Personally, I don't know who's the better programmer between Puresabe and Tsurara. So far Rockman X Cross is an enjoyable game. Both of them and other people here (infidelity, kuja killer, Matrixz) use and create custom sprites/bosses from original games. Someone please tell VixyNyan to put this hack in the database. Thanks! Insect, is that hack available for download anywhere? I'd like to give it a whirl, if that's okay (especially since you posted a discrepancy between who the better programmer is and mentioned this author's name). Last view: 74 days Whoops! I forgot you guys never heard about the author's name ever since I first posted both Shadow and Air Man's videos via YouTube 1 month ago. Tsurara actually named the hack after several updates. Last view: 3 hours wow awesome looking pause menu design. i totally like it. When i looked at your post and my first few seconds at seeing that screenshot...i thought it was like a SNES mm X1-3 setup...but then i realized looking closer..it's his own setup. awesome. It reminds of the Rockman 7 screen, but a lot more advanced. Edit: Ehm.. hadn't you post a screenshot here? Oh, I remember your videos of that hack now, Insect. I think I just forgot about it because hardly anyone else has said or posted anything about it. Last view: 3152 days Hey guys! I have a question about creating a hack of Mega Man 4. I just downloaded MegaFLE X, and I would like to know how to get started. What ROM do it need? It prompts me for a specific ROM when I run MegaFLE X, and the Mega Man 4 ROM I currently have doesn't seem to work..
Do I need an emulator? If so, which one? Thank in advance! I'd like to submit my hack once it's done. Last view: 3127 days Hi, I was trying to the patch the new Rockman 4 MI update. But I couldn't patch it, it just turned out as the original RM4. I know about MMC5, but it still didn't work. Sorry if it's the wrong place. Last view: 3 hours did youy use that IPS patch from the 8/29 entry ? your not supposed to. You have to go to the main rockman 4 page on his site, and get the zip file from the latest dated entry. extract all the files to a folder and put a clean rockman4.nes in it. it makes 2 nes rom files. that's it your done. Last view: 3127 days Nothing comes up or comes out. wuzup peeps? Got top working on Eternity again. I wanted to try my hand at music hacking, but I wanted to start off easy so to kick myself, I did a simple copypasta of the Bubble Crab data from Chiko's R5DOSW and put it in my game. I did some tweaking, but the song does not sound good at all. here's a preview of what I did. dl it and then go to Diveman and hit start, then just listen and hit me with some feedback. umm you on windows vista or 7 by any chance ? if so, that might be the reason why it's not working for you then. because some people on 2ch have talked about how the patching program wont ever work for them either. like as if the author somehow doesn't have it support anything other than windows xp i think. MySQL - queries: 116, rows: 156/0, time: 0.188 seconds.